Watch the compliments roll in with this gorgeous new linen dress! 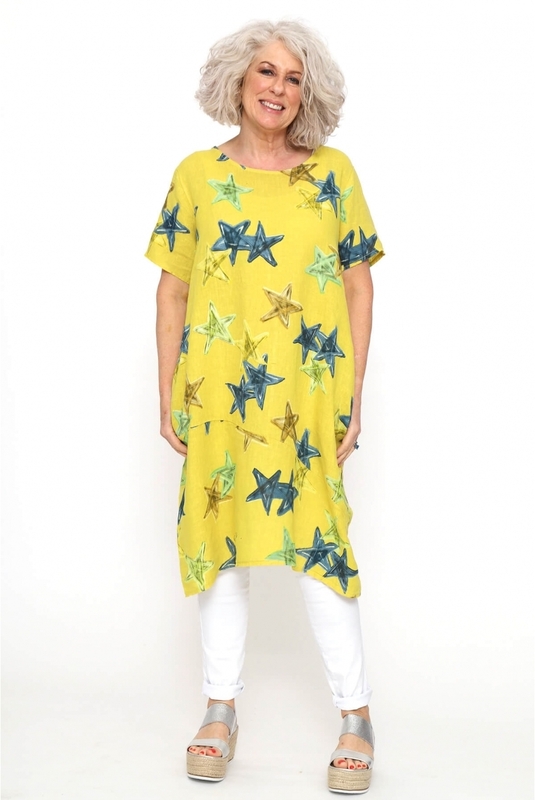 The Made in Italy Seymoor Linen Star Dress features a classic round neckline, short sleeves and subtle panel detailing to the bottom making for a very flattering fit. Finished with an all over star print and two hidden pockets either side, this style would be a perfect addition to your summer wardrobe!